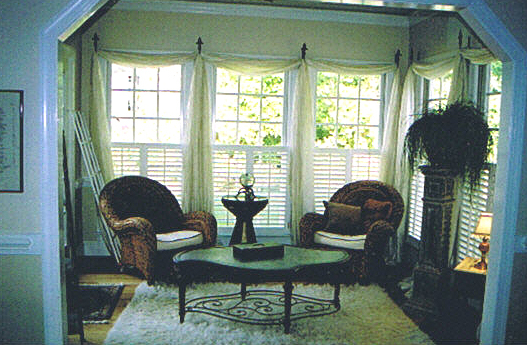 This client wanted to update her furnishings and create more ambiance in this space. She has a natural love of textures and warm, inviting colors, but did not know how to pull this together to create the look she desired. She likes a classic, elegant look, but also needs complete livability for her family with two teenage sons. She informed me that no one ever used this room, even though it is located directly off the family room. We achieved her goal of making this an inviting space by using oversized chairs in a soft, quilted fabric. The leather ottoman is finished in an antiqued texture, and provides an anchor for the chairs, as well as additional seating when there are large groups of family or friends. 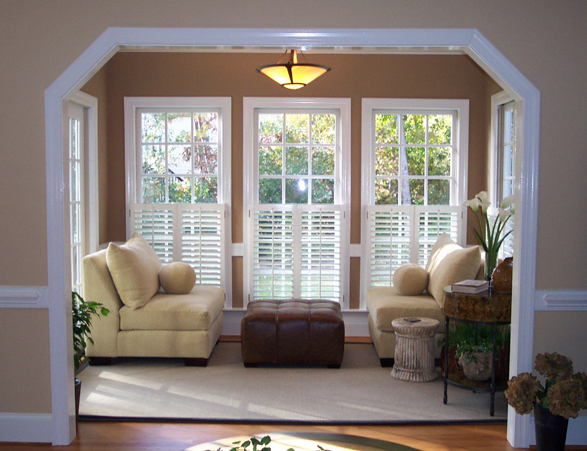 The warm milk chocolate color on the walls is cozy, and accents the beautiful woodwork. This is now one of the favorite rooms in this home.